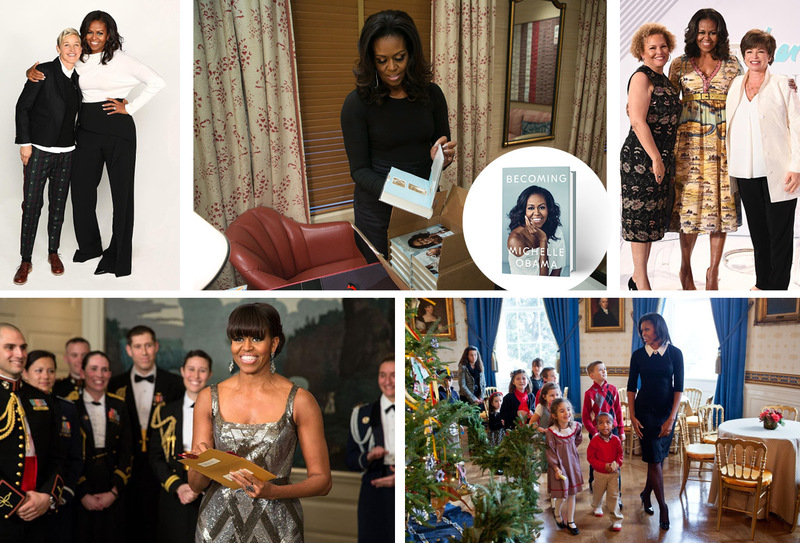 From her first official appearance on the side of the US President Barack Obama in 2009, and until her recent appearances in order to promote «Becoming», her best-seller book, Michelle Obama proves that fashion is flowing in her veins. Everybody loves Michelle Obama. And it’s not a personal estimation, but a general observation of the effect of her autobiography, “Becoming”, on thousands of people all over the world – and not just in the USA where she has become as popular as a rock star. Reading her book recently (note: she became a best seller in just two weeks, with more than 2 million sales in North America alone), I discovered a woman with awareness and understanding, with principles, sensitivities, passions and dreams, and aware of her position and duty not only during the period when she was the first lady of the United States but also for the years to come. Another thing I have discovered is that many of us, although we do not really know her, admire her style and maturity, her character and ethos, how she has faced and dealt with the challenges of life – political or non-political. Somewhere in her book she writes that “how one looks rules almost everything in the political world” and her course clearly reveals a person who fully understands the meaning of the phrase. She knows or, at least, she has learned very well that semiology does not stop in gestures, posture, expressions, words, but it also extends to the way one dresses. Especially when this one is the first lady of the most powerful country in the world. Of course, many early ladies are symbols of style (Jackie Kennedy) But what makes Obama stand out is her ability to create the feeling that she is not an “institution” but a person with flesh and bones, a normal, everyday person who simply lives in the most famous address of the planet, the White House. Before the “Kate and Meghan phenomena,” there was the “Michelle phenomenon,” the serious impact that every appearance of hers had on the status and sales of the designers she chose to wear as the wife of a “planet-leader” husband. So, starting with the USA presidency ceremony in 2009, Mrs Obama managed not only to give a loud message about her aesthetics (multidimensional, free, mature and deep), but also to put herself in the centre of the world fashion of Jason Wu, Narciso Rodriguez and Isabel Toledo.